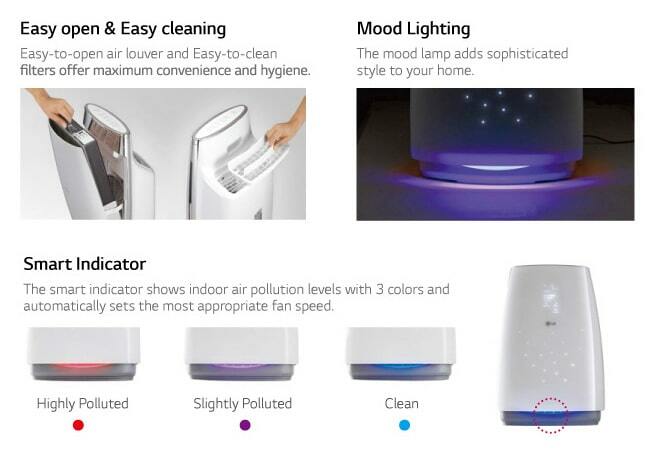 Eliminates dust and haze-causing materials.It also provides sterilization and natural humidification for health. 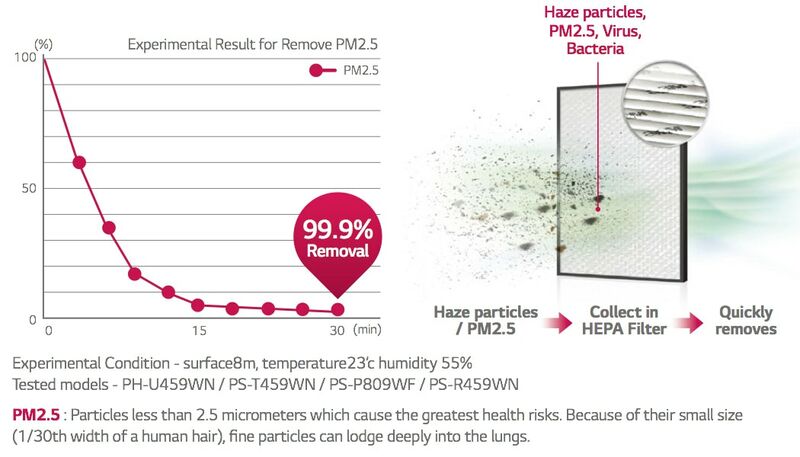 High Efficiency Particulate Air (HEPA) Filter provides strong filtration of bacteria,viruses,and yellow dust.Also shows 99.9% removal of PM2.5. 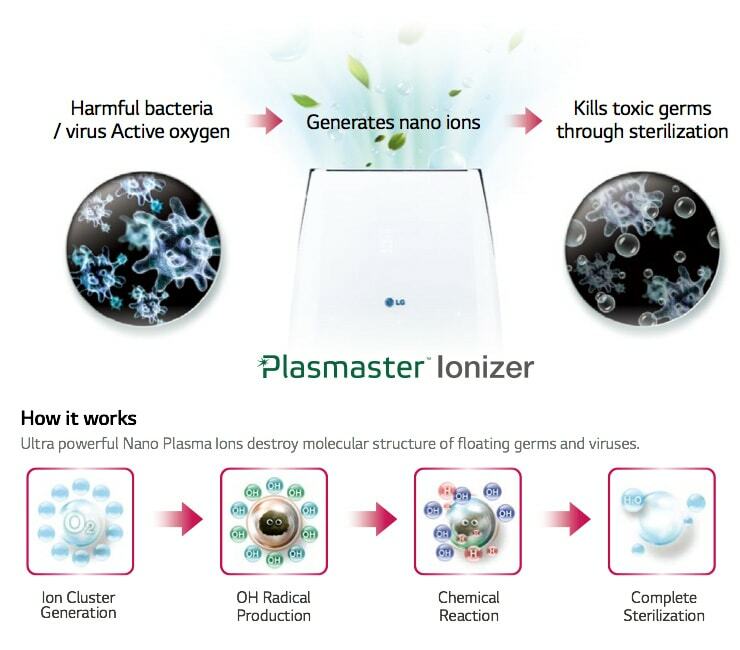 Over 2 million plasma ions eliminate airborne bacteria,viruses and other harmful substaces. LG Optimizes your indoor air through its innvative technology which create a breeze of moisture that leaves you comfortable and healthy. 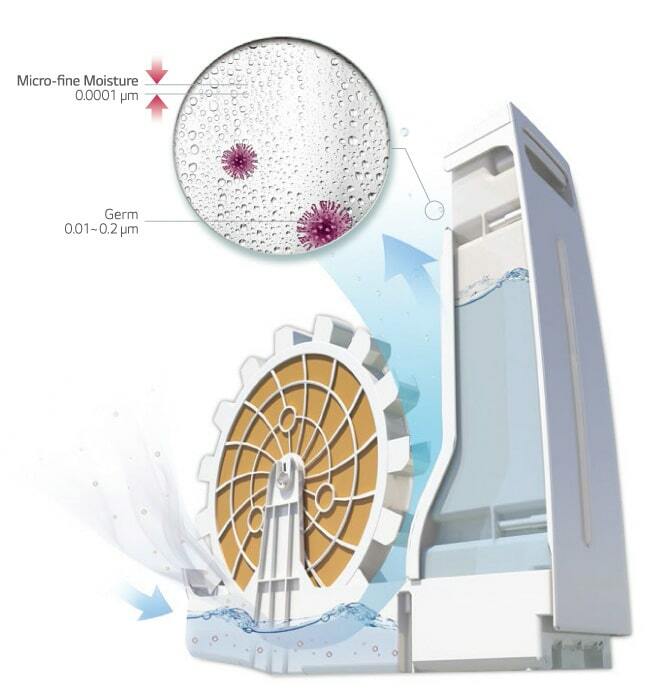 A rotating water disc filter traps harmful substances in the water tray and emits ultra fine and clean moisture into the air.